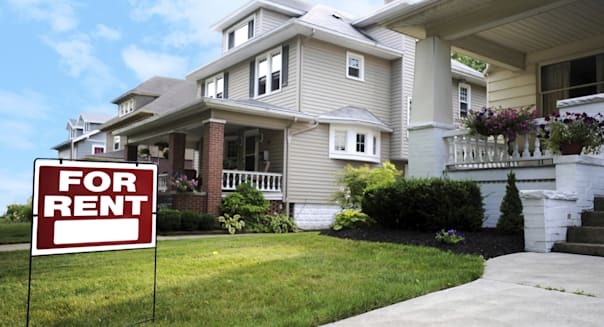 There is some bad news for people hoping to find a good deal on a home to rent or buy: The vacancy rate for American homes fell by 9.3 percent over the past two quarters, a new report shows. RealtyTrac's analysis of residential property vacancies for the first quarter of this year, which was released this week, shows that only 1.6 percent of residential properties were vacant at the beginning of February. "The razor-thin vacancy rates in many markets are placing upward pressure on home prices and rents. While that may be good news for sellers and landlords, it is bad news for buyers and renters and could be bad news for all if prices and rents are inflated above tolerable affordability thresholds." RealtyTrac's analysis is based on the real estate website's address-level property data for nearly 85 million U.S. residential properties, defined as those with one to four units. This data — which includes foreclosure status, owner-occupancy status and equity — was then cross-checked against the U.S. Postal Service's updated data on properties that have been flagged as vacant by the postal carrier. The analysis included 147 metropolitan areas with at least 100,000 residential properties.